Dr. Bach accepts the following list of insurance providers. Select your insurance provider to see more details. I am a board-certified diagnostic radiologist with expertise in body imaging. I have a subspecialty in ultrasound. 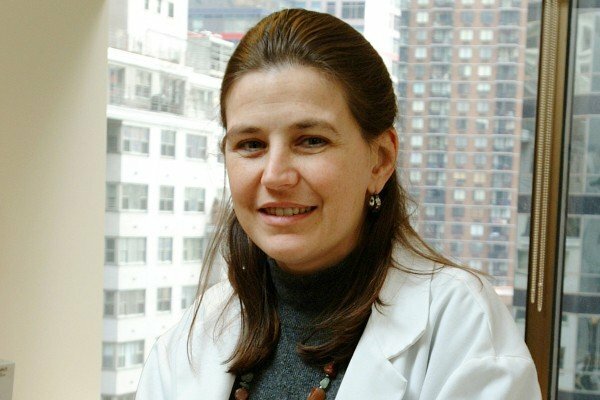 I have been at MSK since 1993, and I serve as Director of Ultrasound and Associate Director of the Radiology Outpatient Center at the Rockefeller Outpatient Pavilion. I have a particular interest in testicular ultrasound, and I work closely with urologists on challenging cases. I am also a member of the Head and Neck Disease Management Team. My responsibilities include doing research with the team and attending weekly conferences, where I provide input on diagnosis, treatment, and follow-up. I serve as an investigator on two ongoing clinical trials. My research focuses on thyroid cancer. I am particularly interested in how small thyroid cancers progress. I am also very involved in medical education through my interaction with our fellows and residents. Working at MSK is especially rewarding because I am able to make a difference in the lives of people with cancer. I am privileged to interact with the many people who undergo ultrasound and am committed to serving them well. I am proud to collaborate with outstanding doctors from many disciplines to deliver the best care possible to our patients. Visit PubMed for a full listing of Dr. Bach’s journal articles. Pubmed is an online index of research papers and other articles from the US National Library of Medicine and the National Institutes of Health.